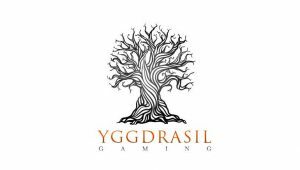 Yggdrasil Gaming is sometimes known to create complex slots that are geared more towards experienced players, but Lucha Maniacs Video Slot is different! Indeed, not only does this game has a low to medium volatility index which will suit the more cautious players. But the bonus features, even if they’re many, are very easy to understand. So, before you hit the stage and try this game make sure to read the quick recap we’ve prepared for you below. Suitable for: Cautious players, and everyday pleasure seekers. All and all, there’s one main bonus feature in this video slot, and it’s the Free Spins. To trigger them, you’ll need 3 or more Bonus symbols. To sum up, 3 Bonus symbols will give you 7 Free Spins with 3 extra features, 4 Bonus symbols will reward you 15 Free Spins with 3 additional features. And finally, 5 Bonus symbols will give you a whopping 30 Free rounds with 3 extra features. How to pick the extra features you’ll play? Well, it’s pretty simple! Indeed, before playing your Free Spins, you’ll play a Pick n’ Click game where you’ll select 3 cards. The cards you’ll pick will reveal the extra features you’ll play with during the Free Spins bonus. In essence, the card can reveal extra Free spins, Random Wilds, Sticky Wilds, Stacked Symbols, Multipliers, and a lot more! Also, know that if you play with the Golden Bet, you’ll have the chance to select 4 features instead of 3 before playing your Free Spins. Playing with the Golden Bet will cost you 5 extra coins per spin. But it could also make for a better payout! Even more Free Spins an extra features! A great thing about the Free Spins is that once you’ve activated them, you’ll have the chance to win even more Free rounds and add-ons. Indeed, know that landing 2 more Bonus symbols will trigger the Poster Bonus game where you can win up to 7 extra Free Spins, 3 additional features or an instant coin win! Without a doubt, this video slot is perhaps one of the most colorful game in Yggdrasil’s portfolio. What’s more is that the soundtrack fits the theme very well! Not to mention that they’re several types of Wilds in Play so you’ll frequently win, especially since the Wilds can land on all reels in the base game and in the bonus feature too! Hit the stage at any UK casinos listed on our casino portal and have fun!